To make sure that you have an amazing professional career, you need to first get in touch with an excellent resume developer. And there is no better option than letting HRDdevi Talent Acquisition design your resume, which is backed by 20 years of substantial experience in the field. By keeping in mind your profile and your expectations from the jobs for which you would be willing to apply, we will design your resume, highlighting your experiences and achievements in the most convincing manner. 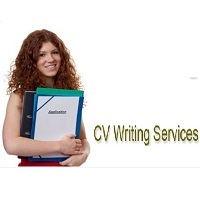 So, to ensure a successful career, get in touch with us and let us develop and write your resume!